As Iran’s regime frets about ongoing and new US sanctions, a Parliamentary committee has passed the outline of a symbolic motion of retaliation. The National Security and Foreign Policy Committee adopted the outline unanimously, in a meeting attended by Deputy Foreign Ministers Abbas Araqchi (pictured) and Hassan Qashqavi. The committee will probably discuss the motion’s details next week. 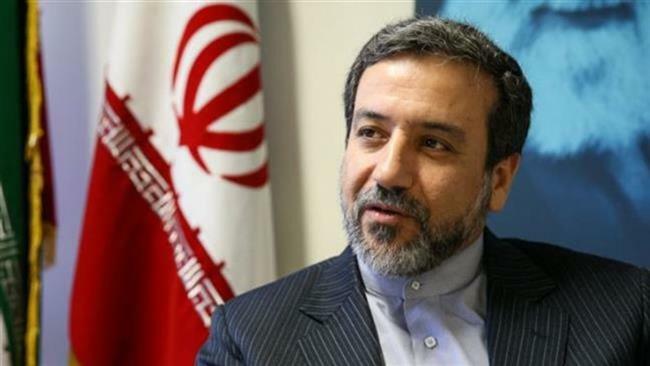 Speaking to reporters, Araqchi reiterated the regime’s line — put out by President Hassan Rouhani, Speaker of Parliament Ali Larijani, and the Foreign Ministry — of the importance of a “firm and comprehensive response” to the “hostile and malicious” US actions. The US Congress passed the bill for additional sanctions, which also covers Russia and North Korea, last week. It cites Iran’s ballistic missile tests, alleged support for “terrorism”, and human rights records for the new measures. The Trump Administration has reconfirmed Iran’s adherence to the July 2015 nuclear deal, but it is also promising restrictions in line with the Congressional rationale. Despite implementation of Iran’s deal with the 5+1 Powers (US, UK, France, Germany, Russia, and China) from January 2016, Washington has maintained sanctions limiting Iran’s investment, trade, finance, and banking. European firms have been hindered from renewing links with Tehran because of fear of US punishment. Araqchi indicated on Saturday that this could include expansion of Iran’s military capability, without going into details. However, the National Security Committee spokesman, MP Hossein Naghavi Hosseini, repeated the line — set out again by Velayati and Foreign Minister Mohammad Javad Zarif in recent days — that the Islamic Republic will not withdraw from the nuclear agreement. “[This is] a conspiracy of the Americans who want to pressure the people and the government to get out of the JCPOA [Joint Comprehensive Plan of Action] and pay the cost of stopping it,” Naghavi Hosseini said.